Higher Ground Nepal receives i..
Based in Kigali, Rwanda, and San Diego, California, USA, Songa Designs works with artisan cooperatives throughout the country and creates jobs for skilled women to enable them to earn economic independence. The Artesan Gateway spoke with country Director Gilbert Kubwimana to learn more. AG: Tell us about Songa Designs. 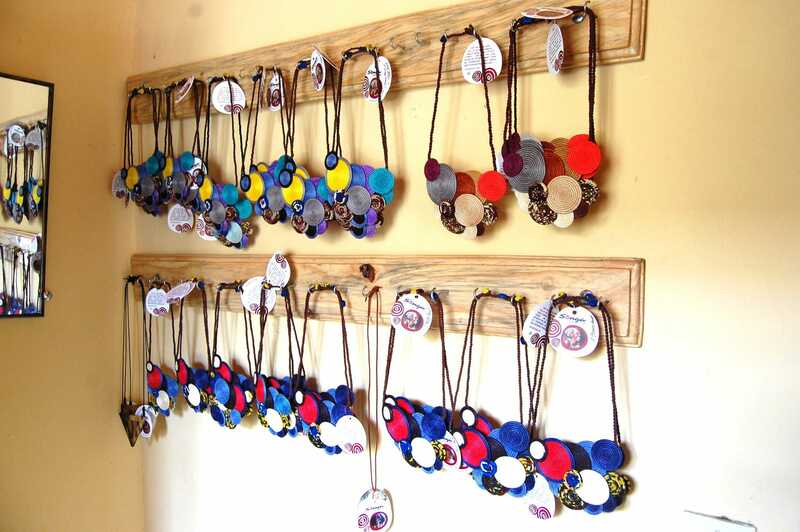 GK: We currently employ close to 150 women and these skilled artisans produce handmade accessories inspired by nature. The natural resources used include banana leaf fiber, sisal plant fiber, pewter metal, repurposed cow horn and recycled paper beads. AG: You mentioned that you use natural resources to develop the accessories. What are some of the challenges you face in accessing and developing the raw materials and how do you overcome them? GK: With the exception of the findings we use for some of the jewelry products, all the natural resources we use are available in the local market here in Kigali. When I first joined Songa Designs, one of the challenges we faced was the lack of consistency in the colours used for some of the materials. As some of the women were using different techniques when they dyed the materials, it produced a slightly different colour. We have invested a lot of resources into training and now have a standardized system by which the women dye the raw materials. To ensure we don’t run out of a particular colour for a season, we have made to sure to create enough of a stock. One of our biggest problems is the rainy season. It is a serious problem for us as it spans the months of October to March. The banana fibers in particular need to dry completely in order for us to process the fiber and while the rains are a good time for the fruit to grow, it isn’t a good time for anything to dry out! We have amended our business and production plan to take this into consideration and in advance of the rainy season, we ensure we have enough stock of processed fiber. AG: How many product lines do you carry and what are they? GK: At the moment, we have five product lines including, necklaces, bracelets, earrings, headbands and belts. AG: Who is your primary customer and how do you sell your products? GK: Our primary customers are women in the USA though we have a small shop in Kigali and are growing our online store. Sales are conducted online both in the USA and here in Rwanda and we sell to wholesale buyers as well as directly to customers. One of the advantages of selling online in USA is that it allows us to keep our overhead costs low. Customers can view our products online and contact us via email to make a purchase. For all wholesale orders, we require a 50% deposit in advance with the remainder paid on delivery. However, the local market isn’t very sophisticated when it comes to online purchasing. They like to touch and feel and try on the products instead. Most of our customers here in Rwanda are based here in Kigali, though we have some tourist traffic too. 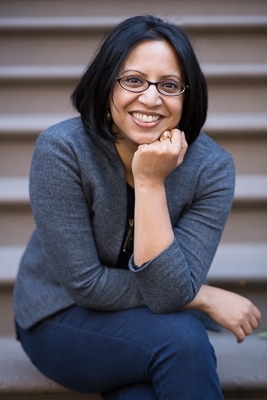 AG: How are your products designed and developed? 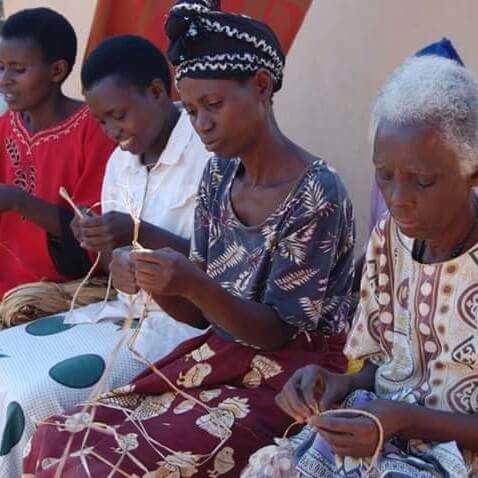 GK: Our designer worked with the women artisans for a few years while she lived in Kigali. Her extensive background with the raw materials and the artisans is part of the uniqueness of our designs. Our designer sends a sketch of the design and product, which the women follow to make a prototype. We then send pictures of a prototype back to her and she makes whatever corrections are needed before we begin production. For some of our bigger orders we have had customers who have come to us with a particular idea in mind. In those cases, they work with our designer to develop a design and sketch. Some of our artisans have also been trained in design and do create products and designs themselves. They too work with our designer to further develop their designs before production. AG: Are there particular products that have sold better than others? If so, why? GK: Our necklaces sell very well and our most popular design in that line is called Zaza. AG: I have that necklace! Do you know why it is so popular?! GK: I think in part it’s because of the design. It is also made out of 100% recycled and repurposed materials. I think people like the modern design with the Rwandan accents. AG: What would you site as one of Songa Designs successes? GK: Our biggest success is the lives of the women that have changed for the better. 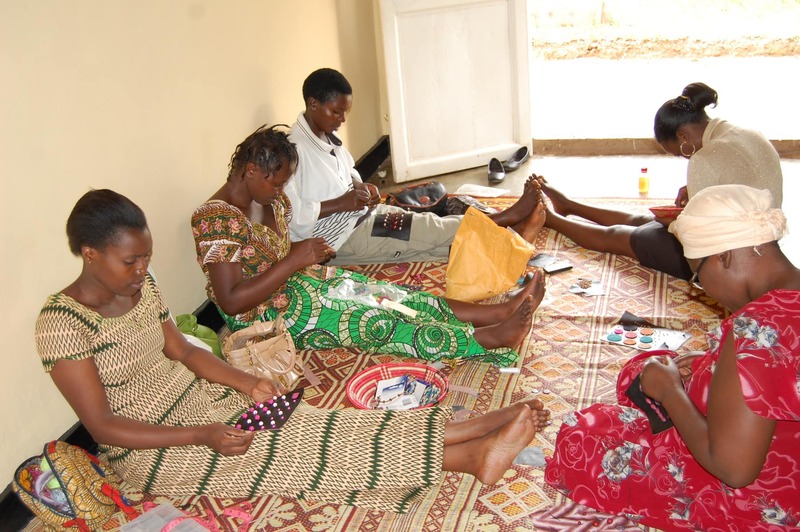 There are several women artisans who have come to us with nothing: no shoes on their feet; the inability to send their kids to school; lack of health insurance; and sometimes the inability to buy clothes. The consistent income they earn through the cooperative has enabled many of the artisans to meet these needs and solve these problems for themselves. It has allowed them to be not only economically independent, but a financial contributor to the family too. In fact, one of our artisans has saved enough money to buy two plots of land. We are proud of her and her investment will bring her true wealth. AG: And what has been one of your biggest challenges in the recent past; how have you navigated this? GK: I think our biggest challenge is that we have small market share. We have plenty of women who want to join the artisan cooperative but at this time, we aren’t connected with enough wholesale buyers or customers to increase sales and taken on additional artisans. To increase awareness of our business, we’ve invested heavily in marketing and hired a PR firm who has gotten us into many magazines and upcoming gift guides. We also upgraded our website so our customer have a more enjoyable experience while visiting us online. AG: What can we expect to see from Songa Designs in 2016? GK: We are planning to expand our product line beyond accessories in order to create multiple income streams and are currently working on a prototype for handwoven baskets. We would also like to improve our online shopping experience. In addition to this, we are working hard to create relationships with retailers in the USA who are interested in working with artisan groups in Rwanda. For more information on Songa Designs please visit: http://songadesigns.com/ and do visit us on Facebook!